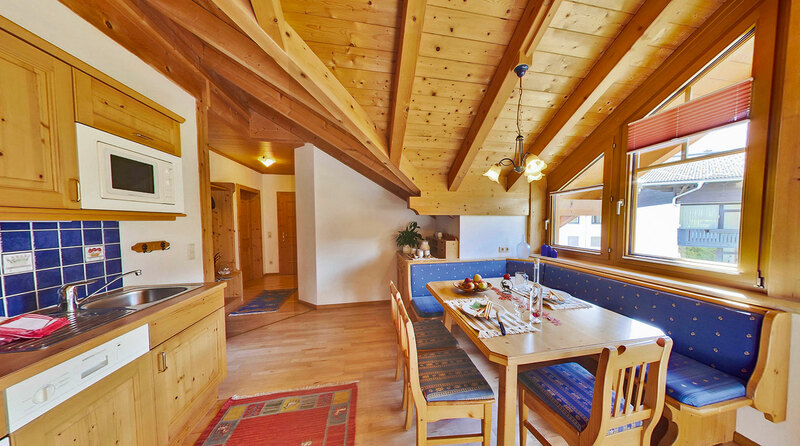 The family-friendly Dertnig apartment house is located in the heart of the Sportwelt Amadé in Flachau. 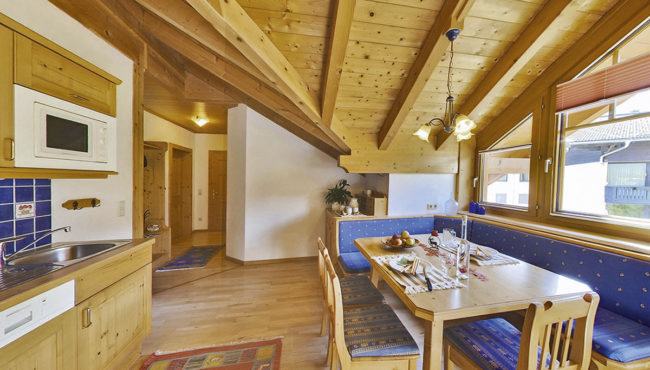 The house is situated in a peaceful, sunny location 100 m from the centre of Flachau and has four beautiful, comfortable apartments. Dertnig Apartments are suitable for 2 – 6 people. 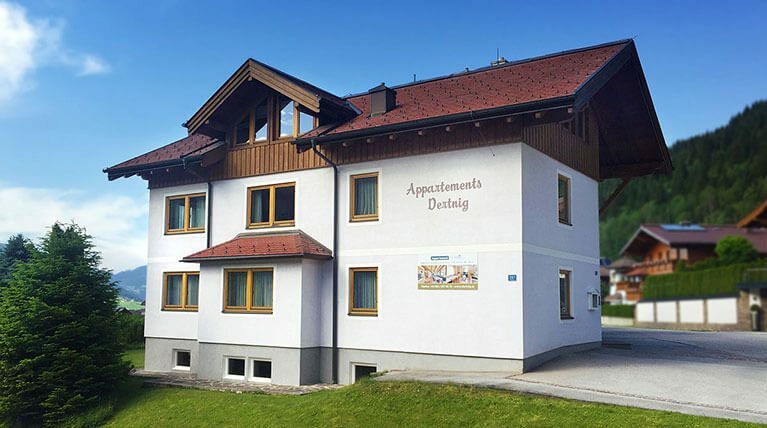 The apartments are decorated in the attractive Salzburger country house style and offer first class accommodation: beautiful living rooms, bedrooms and bathrooms, furnishings and sanitary facilities of an exceptional standard; comfortable beds and lovely wardrobes; a wonderful variety of kitchen utensils, ample crockery, glassware and cutlery. 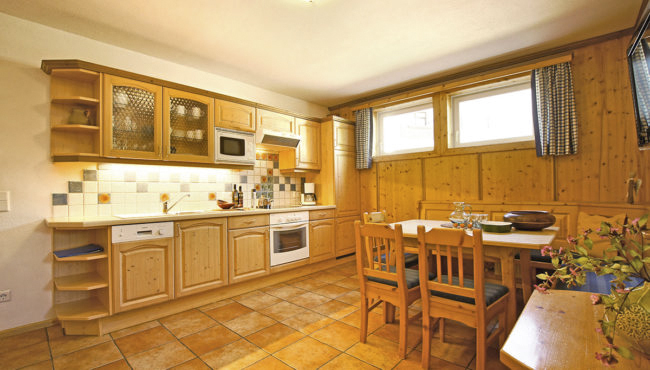 Each apartment has two or three bedrooms. Important to know: all the beds are equipped with anti-allergy quilts; pets are not allowed. Each apartment has two or three bathrooms as well. In every apartment one bedroom has its own bathroom. Each apartment is equipped with an infrared sauna. There are two parking spaces for each apartment. 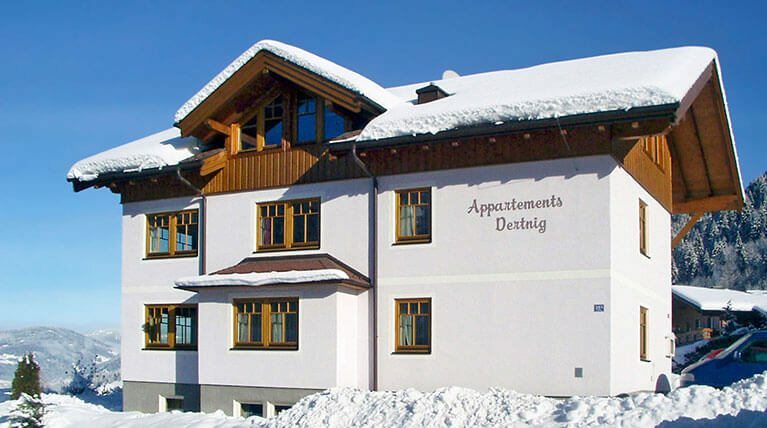 Free Wi-Fi is available at Dertnig Apartments. Click Apartments on the menu for more information. Because of the central location of Dertnig Apartments you don’t need a car during your holiday. 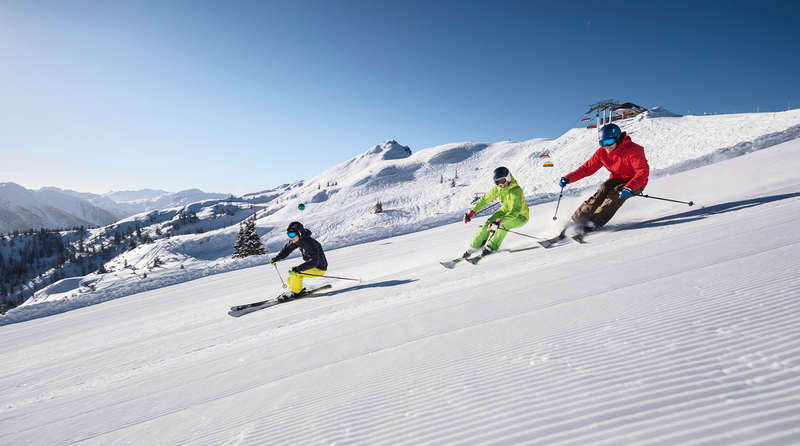 Shops, bakeries, pubs, restaurants and the ski schools are to be reached in 5 minutes by feet. 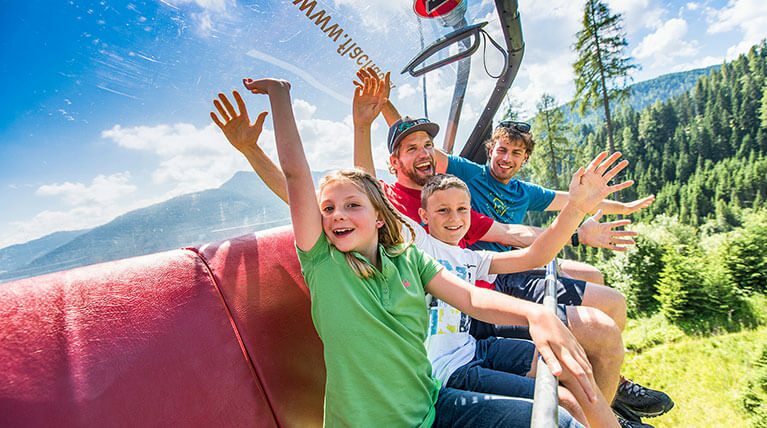 The free skiing bus, which will bring you to the Flachauer Bergbahnen, leaves every 15 minutes directly in front of the Dertnig apartment house. An apartment is an obvious choice when deciding where to spend your holiday. You have far more space and increased privacy than in a hotel. 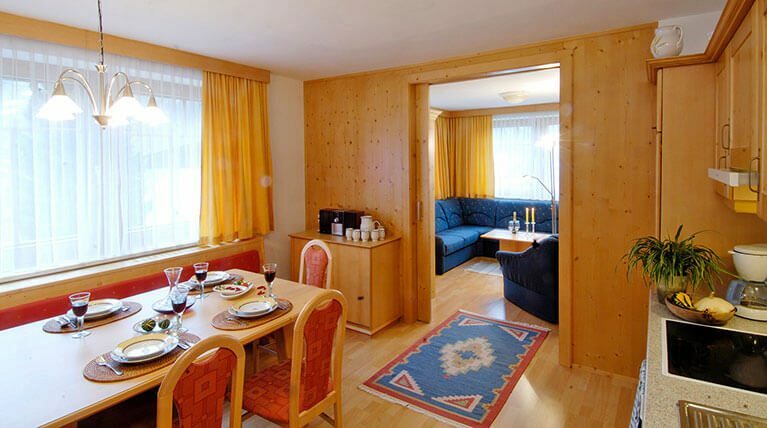 Naturally an apartment offers a much cosier atmosphere. 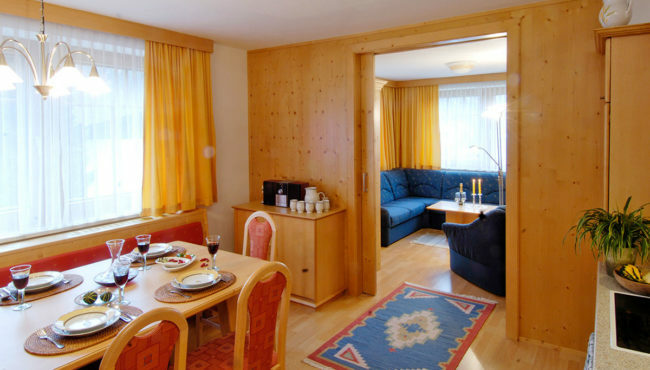 The rates of the Dertnig Apartments are also more competitive than hotel rooms. Moreover, you can do your own shopping, which is also much less expensive. 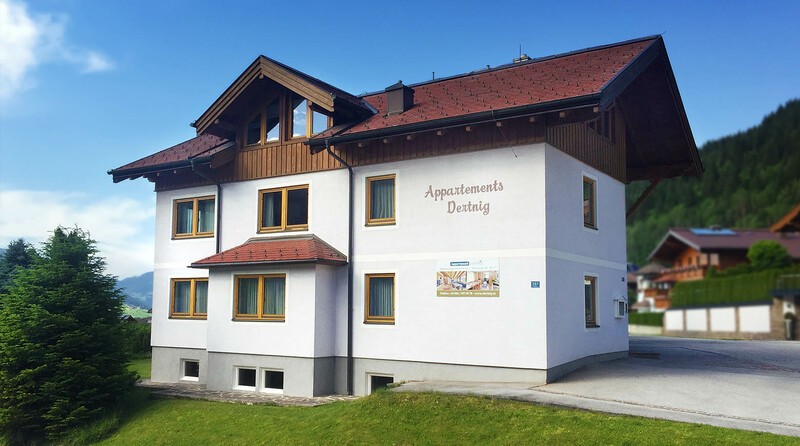 It’s also good to know that all attractions in Salzburgerland are easily and quickly accessible from the Dertnig apartment house.